Since alcohol is a widely accepted legal substance, many people, unfortunately, abuse it. There are mant long-term ramifications of alcohol abuse which can have long-lasting effects on your overall health. The unfortunate reality is that alcohol use disorder (AUD) and alcoholism are some of the leading preventable causes of death on a global scale. Too many individuals underestimate the gravity of the disease of alcohol addiction and by the time they realize that they are putting their health at risk, the damage is often already done. Over the last decade, there has been an increase in premature death of individuals who struggle with alcohol abuse. This means that the problem of alcoholism is getting worse with time, not better. By educating individuals on the harms and dangers of abusing alcohol, they may be able to make more sound decisions as it relates to alcohol abuse and getting help for it. Many individuals are not completely sure of what long-term alcohol abuse truly means or how it is defined. When an individual drinks alcohol compulsively daily to the point of being highly inebriated, they struggle with long-term alcohol abuse. These individuals consume alcohol for many years on an almost daily basis and have become addicted to the substance. When they do not drink, they may begin to experience withdrawal symptoms such as tremors, anxiety, and sweating. Alcoholism is not something that occurs overnight, rather, it is something that happens over the course of time and can take years to develop. As soon as you realize that you may be on the way to long-term alcohol abuse, the key is to get immediate help so that you can get your condition under control. Alcohol affects all aspects of the body. The effects of alcohol can be felt almost immediately after consuming it and can have short-term effects such as lapses in memory and impaired judgment. Unfortunately, there are many long-term health consequences of alcohol on the brain, many of them causing irreversible damage. The persistent consumption of alcohol can result in damages to the brain which impact the persons’ ability to have coordinated motor skills, communicate properly, and retain information, among other effects. Long-term alcohol abuse also takes a devasting toll on the heart, weakening it over time. This is because of alcohol robs the heart of oxygen and vital nutrients required for heart health. Alcohol can also affect triglyceride levels in the body which is the amount of fat that is in the blood. It works to increase these levels which put individuals at an increased risk of heart attack and stroke. 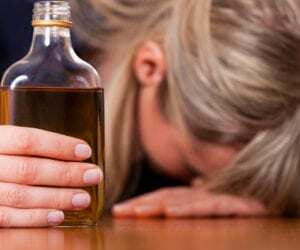 If you struggle from alcohol abuse disorder, it’s imperative that you seek help now as this is a chronic and progressive disease that will continue to worsen over time. Without help, the disease will begin to control every aspect of your life.